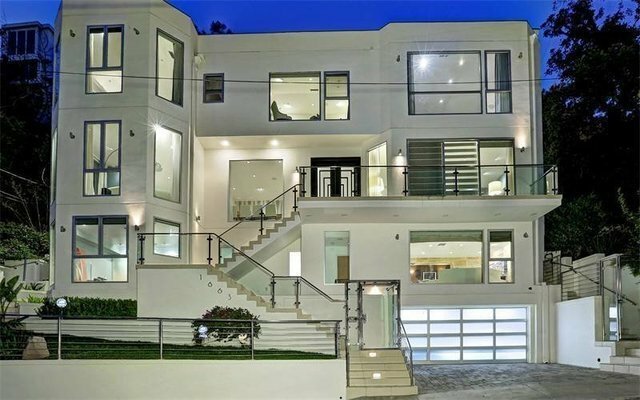 Architectural view home located in the heart of the Sunset Strip within short walking distance to Chateau Marmont. This 3-story, four bedroom, five bath contemporary was recently remodeled in 2009 and features open floor plan on the main level, expansive master suite, large ensuite guest bedrooms and a gourmet kitchen w/top of the line appliances. With Integrated Control 4 system and smart home features throughout, a professional quality twelve person screening room, salt water pool and spa, and views from every room this home is perfect for entertaining.